The latest 2016-17 Cask Report is out and ready for reading. The new Cask Report examines the role of conversation in the buying and selling of cask ale in the pub. 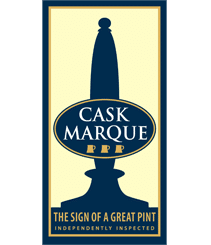 “People are starting to talk about cask ale – Britain’s national drink – with more passion than was once thought possible,” says Sophie Atherton. Her Report shows people’s depth of interest in what they are drinking – and the fact they like to be served by staff who are knowledgeable. According to the research, 92% of consumers want to know more about the different styles of beer now available. 60% said pubs don’t offer sufficient tasting notes on how beer looks, tastes and smells and only 36% feel that bar staff have an understanding of cask.